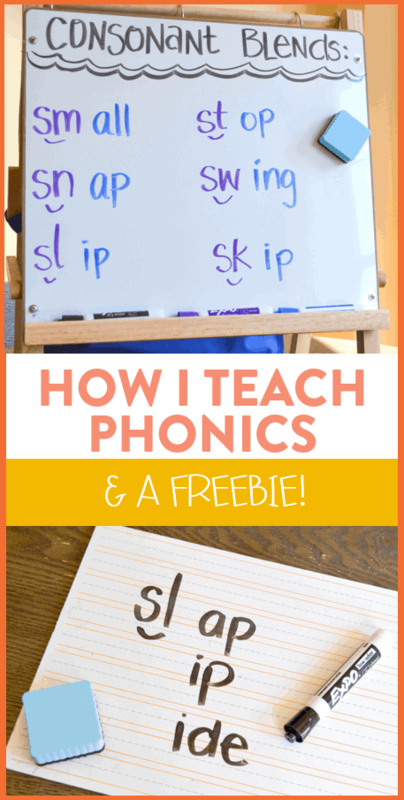 A Week of Phonics Instruction Plus a Freebie! In my new role as a K-2 literacy teacher, I spend a lot of my time working on direct phonics instruction to help my first and second grade students decode words they are encountering in their texts. I thought I would take a little time to go through what a week of small groups phonics instruction looks like using a real-life example from a second grade room! We spent last week learning all about s-blends. 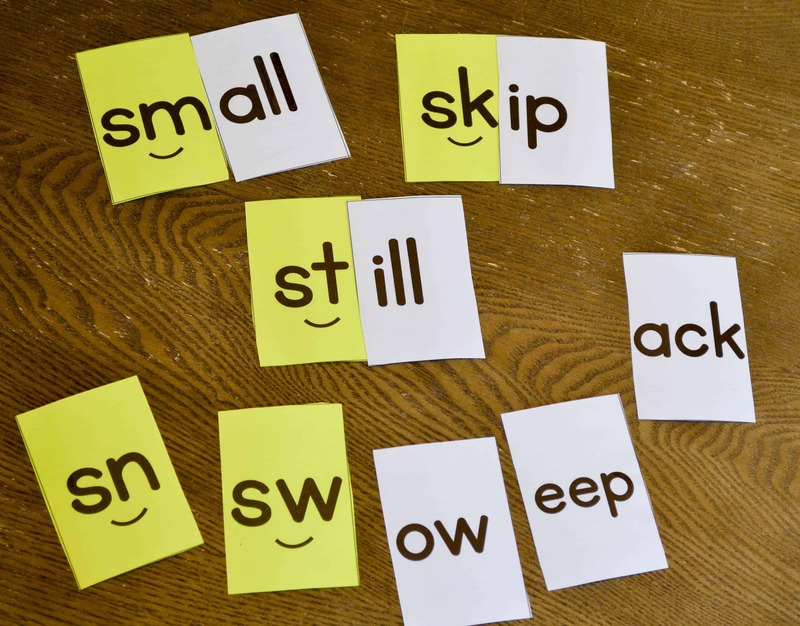 Each day, I meet with the same group for about 15- 20 minutes to complete these activities and this is the same method I used during my phonics block when I taught first grade. On the first day, I explicitly and directly show students exactly which phoneme(s)/grapheme(s) we will be learning. I do this on my small group whiteboard or using a pocket chart. Last week, we learned all about s-blends. 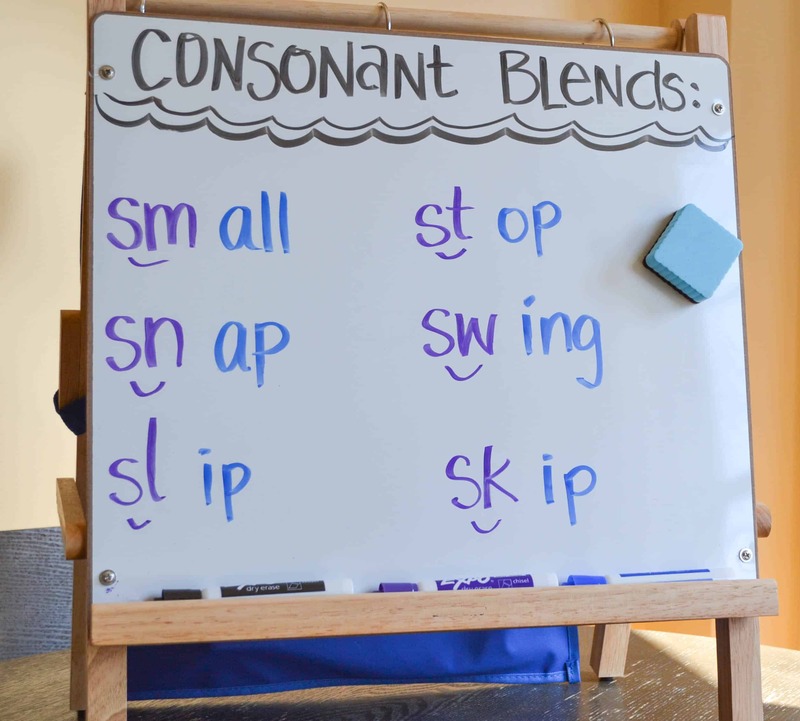 So I first explained to my students that we would be learning all about consonant blends and defined a consonant blend as two consonants that we can blend or “scoop” together when reading a word. I also explain that while we scoop them together, we can still hear both of the sounds. I show them that when they see a blend at the beginning of the word they can put the blend in their mouth and get ready to decode the rest. 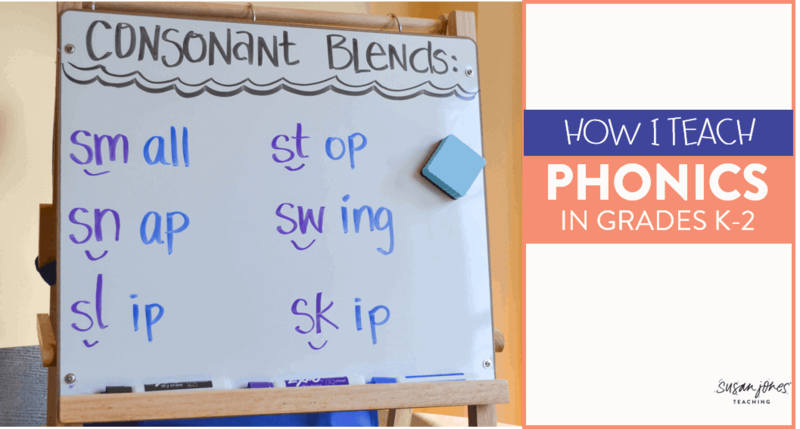 With the time we have left on day 1, I give pairs of students their phonics cards (in this case, s-blends) and have students try to make real words. 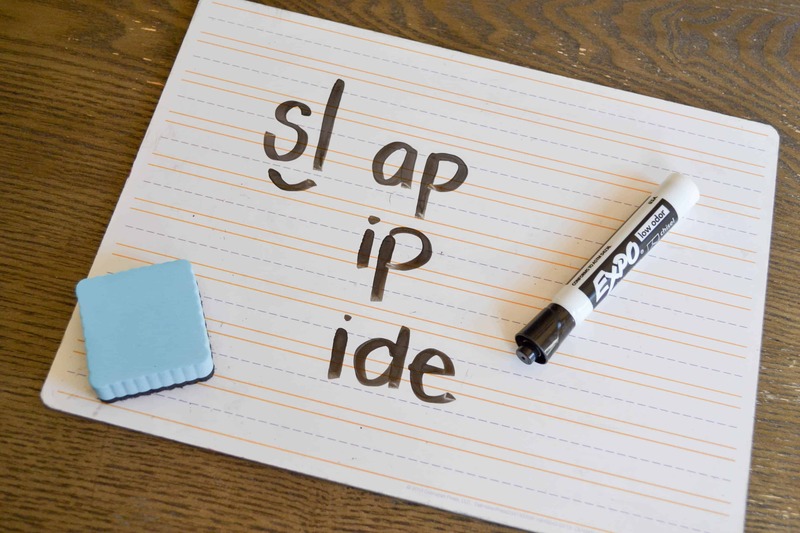 They record the real words they found on a recording sheet or mini-whiteboard. 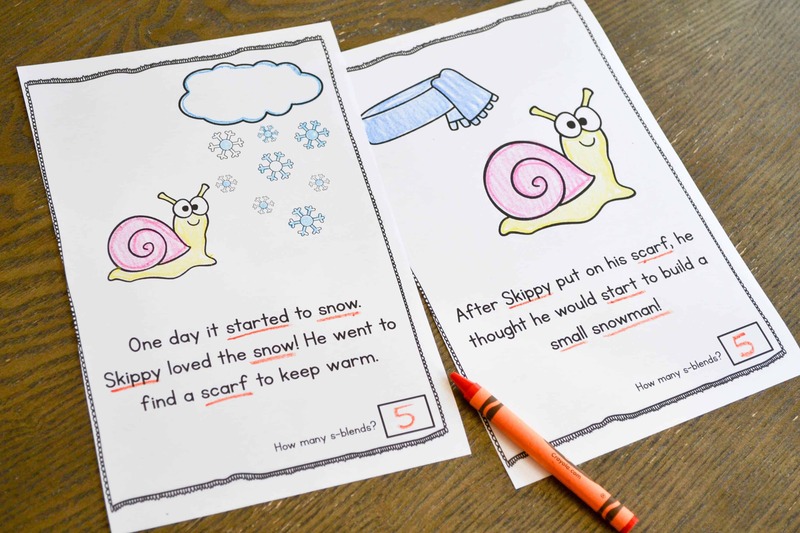 When I am teaching it whole group to my students, I use the scooping motion with my finger, so I am sure to put that little motion on my cards as well. 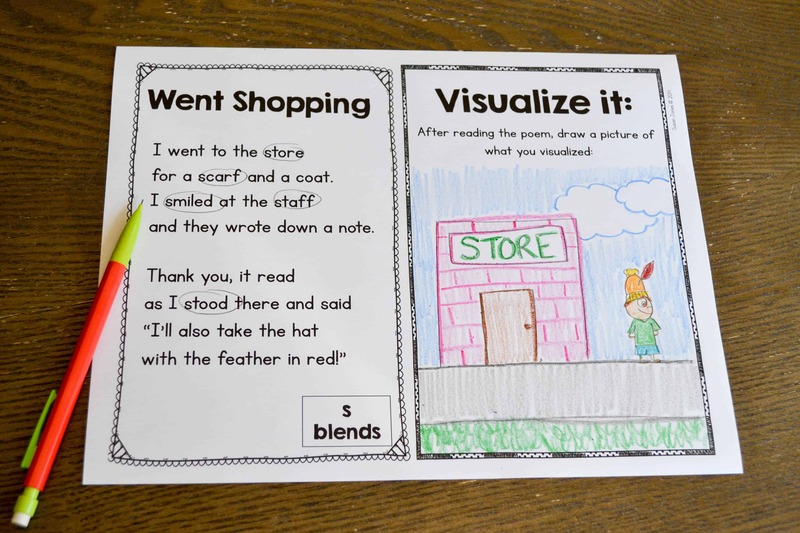 I also like to make the blends cards a different color than the ending of our words. You can grab a set of these blends cards for FREE by clicking the picture above or clicking here. 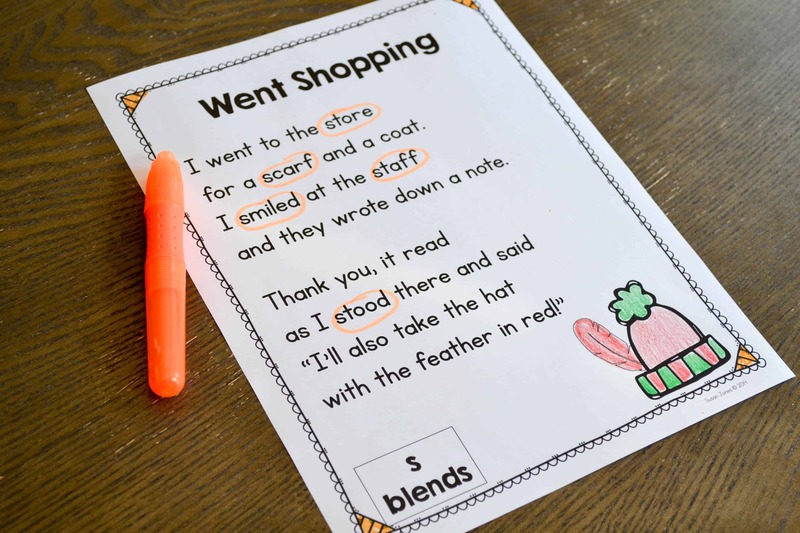 On the second day, we review the skill at hand and practice decoding a few more words with s-blends by scooping the blend and putting it in our mouths before we read new words. I will follow the same whole group pattern as yesterday. Then I let my students know we will be reading a poem (or short story) with many words containing our phonics skill. Students read it silently to themselves for a minute or two before we read it aloud together. 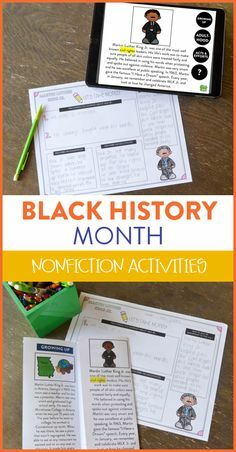 I will usually read it line by line and have my students echo-read it after me once to get the intonation and fluency before they read it with a partner. I usually have them each read a line of the poem back and forth and then do it again, switching who goes first. Lastly, I have them read it one last time by themselves and circle or highlight all the s-blend words they found. 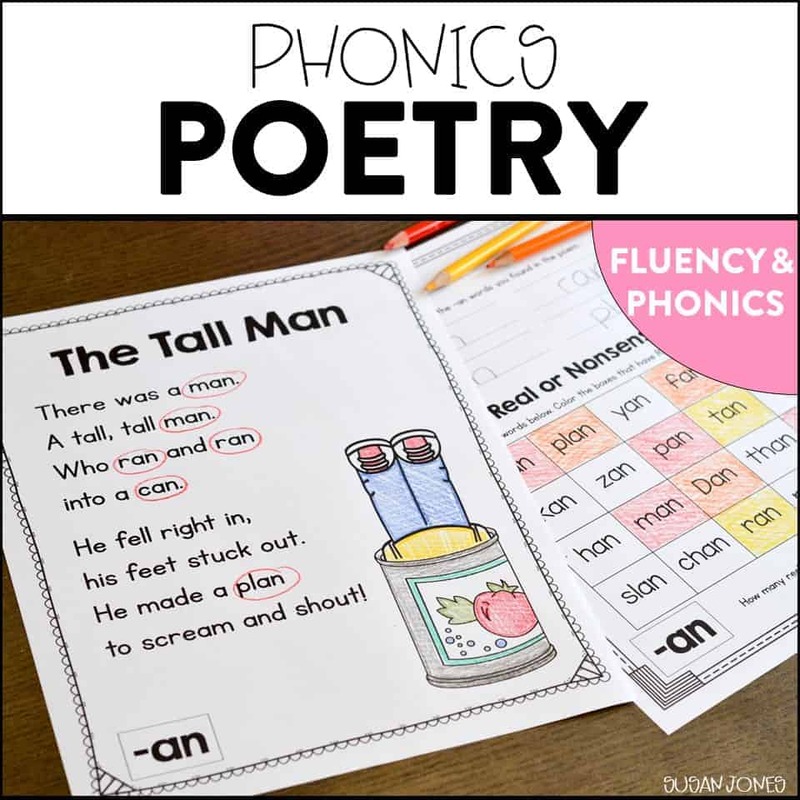 If time permits, and I am using one of my phonics poems, I also have them use the visualization sheet to draw what the poem was about. This helps me check their understanding of the words they are reading. On the third day, we take our poems again and read through the poem twice. 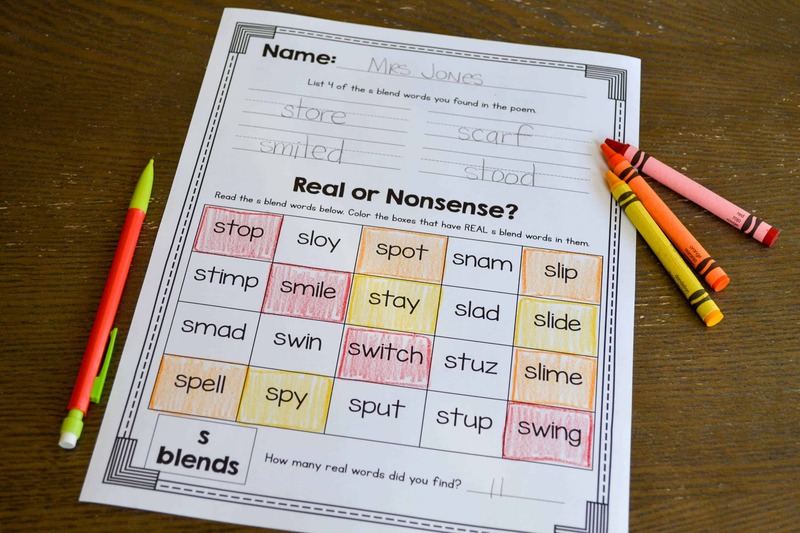 We quickly review our skill (s-blends) and I explain that my students will be tasked with reading an entire grid of words beginning with s-blends. 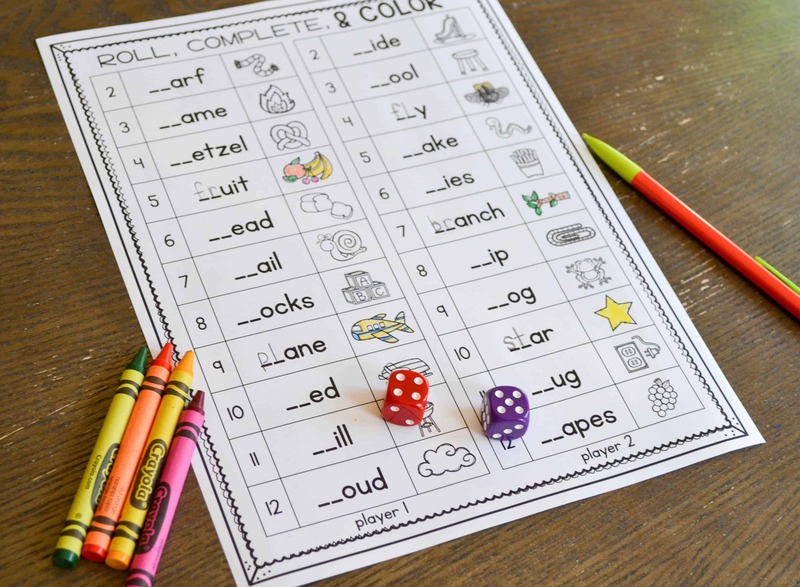 They will have to figure out which words are real and which are nonsense and only color in the real words. 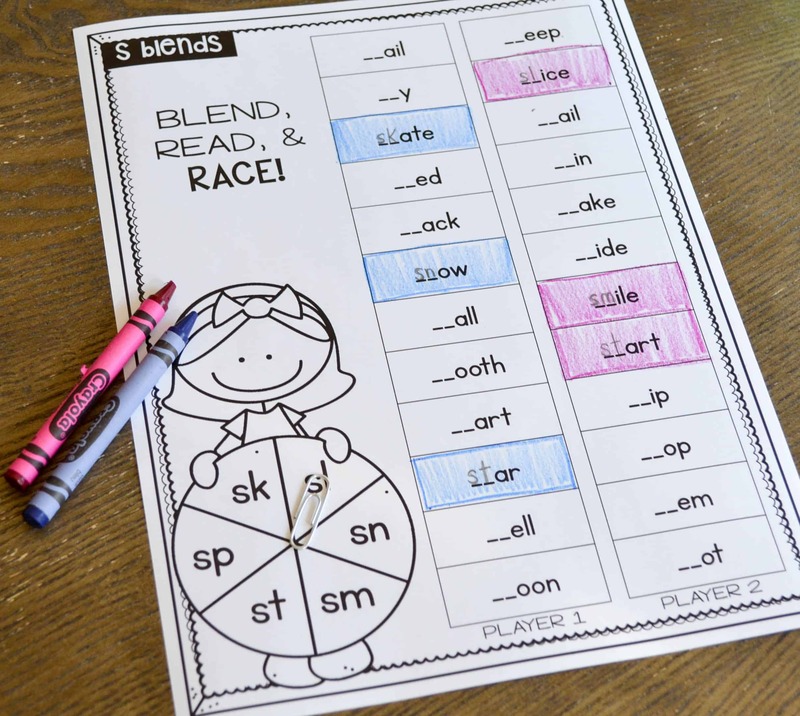 On the last two days of the week, my students play different phonics games to help them practice identifying s-blends, reading decoding s-blends, listening for different s-blends and more. 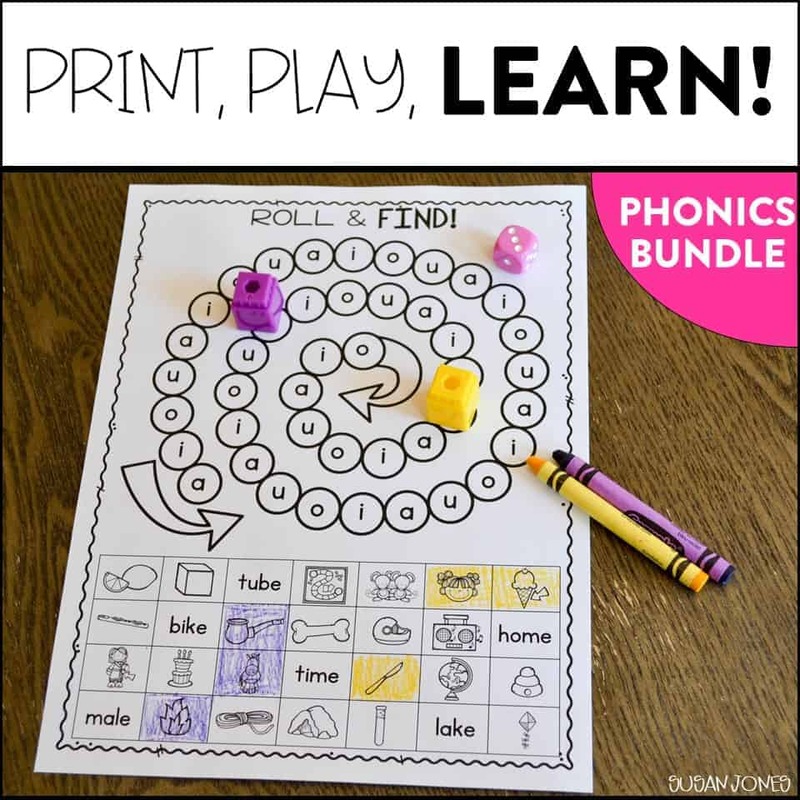 Each game focuses on a different aspect of literacy and reading development when it comes to each phonics skill. Two of the games we played last week was to help students listen for the different s-blends at the beginning of the pictures and identify which image began with which s-blend. 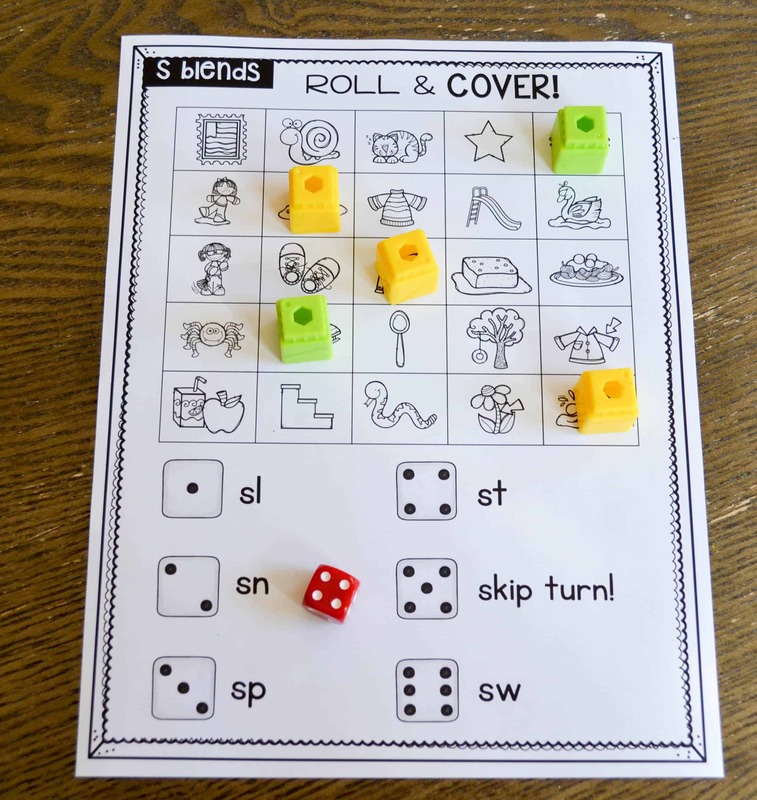 Roll & Cover had students start with the s-blend and find a matching image, while Roll, Complete, & Color had students starting with the image and listening for a consonant blend at the beginning. This method has helped my students tremendously over the years. 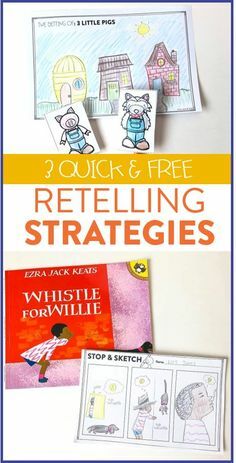 It also really helps me, focus on the specific needs of my early readers as they grow into more comprehensive readers! 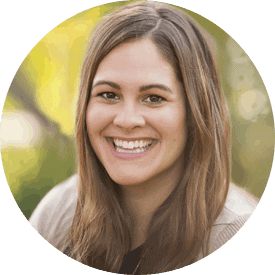 I hope some of these tips can be useful to you in your classroom! 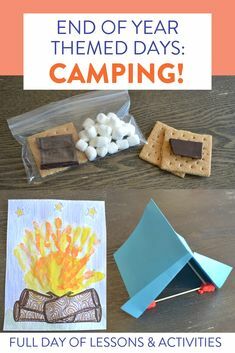 Very creative.I just love them. Wow you just made my word work so easy to visualize right now. I love the way they are practicing the same skill with a different activity each day.